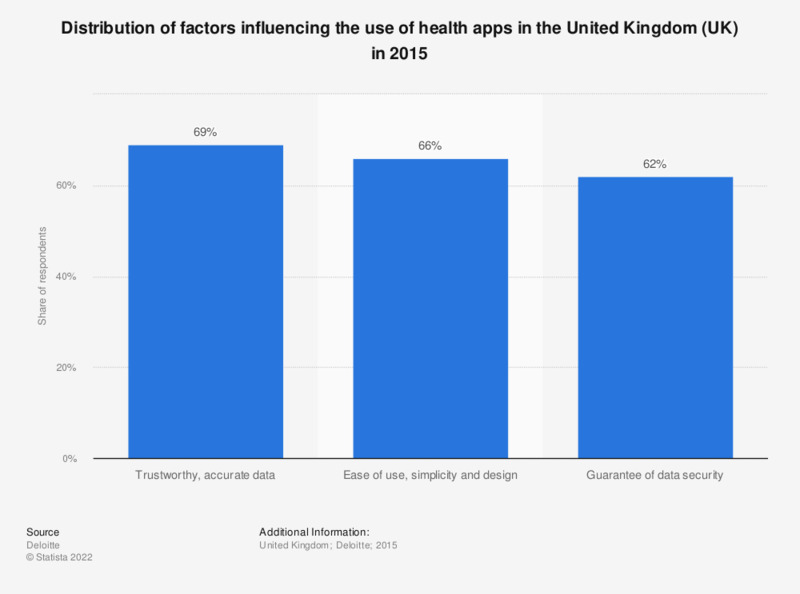 This statistic displays the factors influencing the use of health apps in the United Kingdom (UK). The leading factor, which influences the use of health apps according to respondents, is that the app contains trustworthy and accurate data. United Kingdom: what is the single most important service you think health apps should provide? United Kingdom: which of the following would convince you to use health apps regularly? In the past 12 months, how have you changed your client offering or business model?